You are here: Home / Tips and Advice / How to avoid Epson L355 Waste Ink Tray Overflow? This is used to calculate the number of waste ink during printing procedure. After a long period of printing documents, the Waste Ink Counter will gradually raise up from 0% to 100%. The Epson printer will stop working immediately when this case happens to avoid the waste ink overflowing, the Epson L355 printers can send you the signals of this error such as the red lights blinking as well as the message on the screen: “The Printer’s Ink Pads are at the end of Their service life. Please contact Epson Support”. You can see on our website, we provide the WIC RESET UTILITY software so you can fix this problem by yourself when the Waste Ink Counter come back to 0%, the Epson L355 printer will go on printing. However, this error is completely done in case your Epson printer is new one, the Epson L355 printer’s waste ink pad will not be overflowed. If you don’t clean the Waste Ink Pad after the first resetting process or your Epson L355 printer is old, the waste ink can be overflowed into the printer and make the printer dirty or can make your table soiled and it is the reason for damage of Epson printers. 1. What is Epson L355 waste ink counter overflow? Waste Ink Pads are several porous pads in the printer that collect, distribute, and very importantly contain the ink which is not used on printed pages (Waste Ink). Whenever printhead clearing process ink flush through printhead to waste ink pad. So once it can be overflowed because it could not absorb ink ever again and then the ink will leak from the bottom of the inkjet printer. The printer counts the volume of ink flow to waste ink pad and then stores this number into printer’s memory ==> This number is known as Waste Ink Counter. + So you can prevent ink leaking outside the Epson L355 inkjet printer the waste ink counter might be overflowed and Epson L355 inkjet printer will stop. 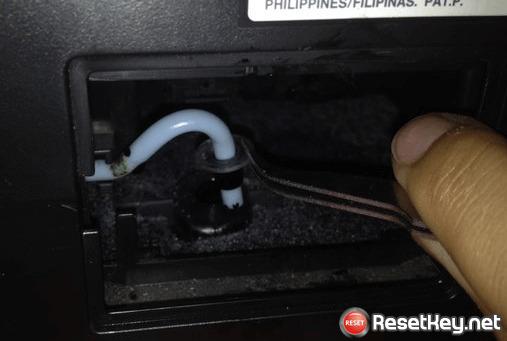 To make Epson L355 printer working again – You have to RESET the Epson L355 printer Waste Ink Counter (Read more to learn how to reset epson printer). 2. 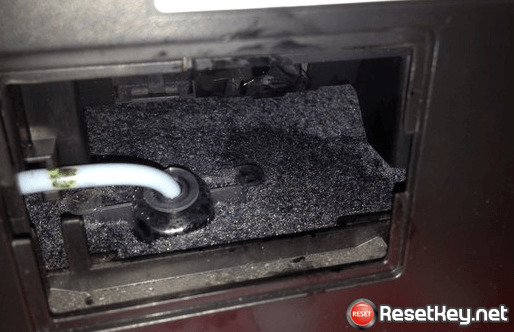 How to know that your Epson L355 printer waste ink counter overflow? 3. How to fix Epson L355 waste ink counter overflow? + Connect your Epson L355 printer to computer that you installed WIC reset. Connect computer to Internet. 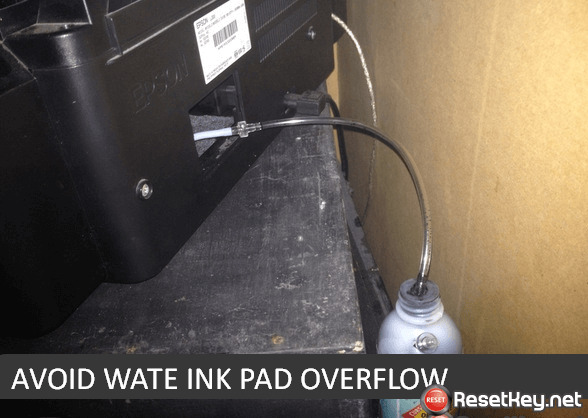 How to avoid Epson L355 printer Waste Ink Pad overflow? When you apply all the detail hack Epson L355 printer’s waste ink pad. We provide you about the problem called Waste Ink Counter bellow, You can find different location of the Waste Ink Pad in different Epson printer series. Let’s see some information we give you here to know more. The waste ink normally flows from the waste ink tube to the Waste Ink Pad then the sponge in this having the fucntion of collecting the waste ink from the Epson L355 printer. However, when the sponge such a lot of waste ink after a long usage period, it is not able to absorb anymore. You can use a bottle to contain the waste ink instead of replacing the Epson L355 printer’s Waste Ink Pad or collect the waste ink from the Waste Ink Pad. When you see the waste ink pad of the Epson L355 you need to disassemble the shell but the cover is smaller than the waste ink pad so you need to be careful when do this, I think the best thing is the fixer’s help. Be gentle and careful to avoid folding or cracking waste ink pipes of Epson L355 printer. 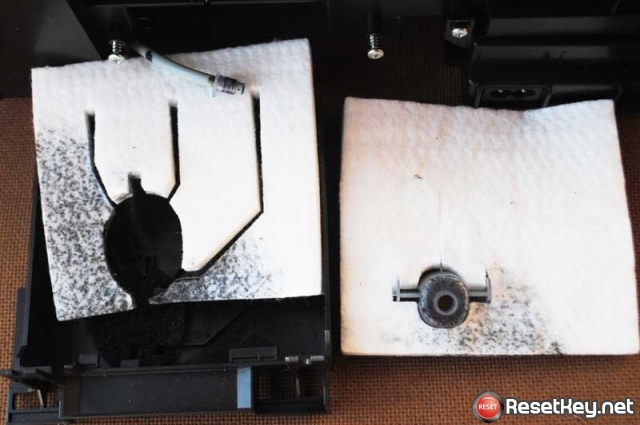 You have to absorb the waste ink from the sponge in the Waste Ink Pad, if your Epson L355 printer is new you can skip this step but if it’s old one, you need to clean the Waste Ink Pad to avoid overflowing waste ink when you move the printer. The waste ink can flow to othe oponents and make them dirty or broken down. You can see in this picture to know how to install and assemblr all the component together to avoid your Epson L355 printer’s waste ink pad overflow. 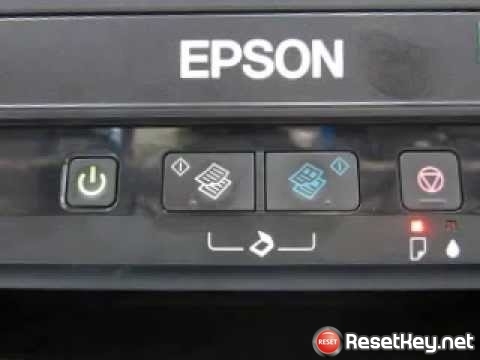 Watchout: This is an good solution and you can use it in a long-term but you should use a tool called WIC RESET TOOL to reset Epson L355 printer’s Waste ink counter when it overflow. You can see to install this software in our other post. 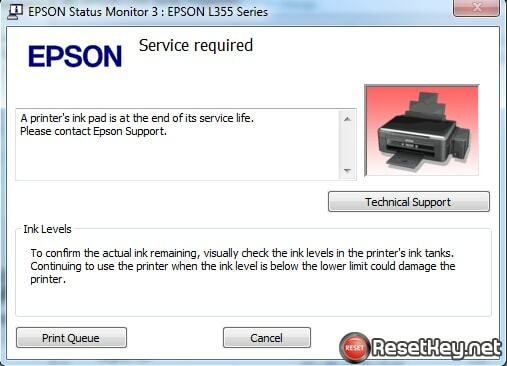 Thank you for your seeing article “How to avoid Epson L355 waste ink pad overflow”.